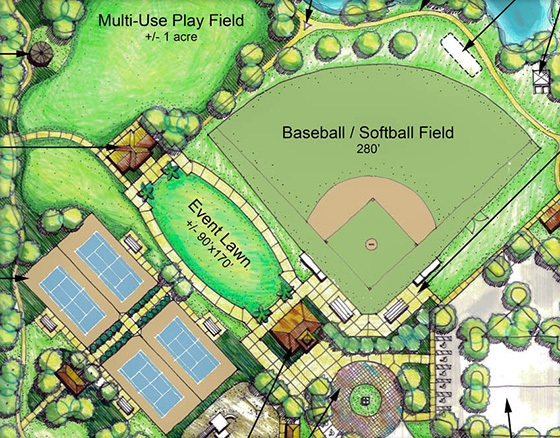 Designing parks and recreational facilities is one of our primary businesses at Lanmark Designs. Our experience stems heavily from our close relationships with XGrass, Play It Surfacing and Mulch Outfitters - three of the leading suppliers of playground safety surfacing. Over the years, we have gained even more experience through our relationship with VersaCourt and its versatile and innovative line of court tile products. From basic sketches for developing conceptual ideas to comprehensive site and space plan renderings, our design team will work with you to bring your ideas to life. We can even utilize a 3D modeling program to build an actual model of the project that can be viewed from any vantage point to help in illustrating the finer points of a design. Nearly every park includes some area for playground equipment and the design of these areas can be very complex. As landscape architects, we need to specify surfacing that meets or exceeds any fall height requirements and ADA standards while considering traffic flow, maintenance, transition area and budgetary factors. 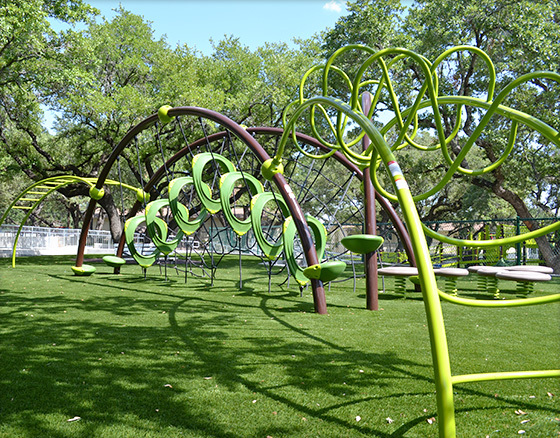 Today's parks and recreational facilities are looking for ways to provide amenities and courts that are fun, safe and easy to maintain. To accommodate these goals, we are integrating more VersaCourt systems into our designs than ever before. 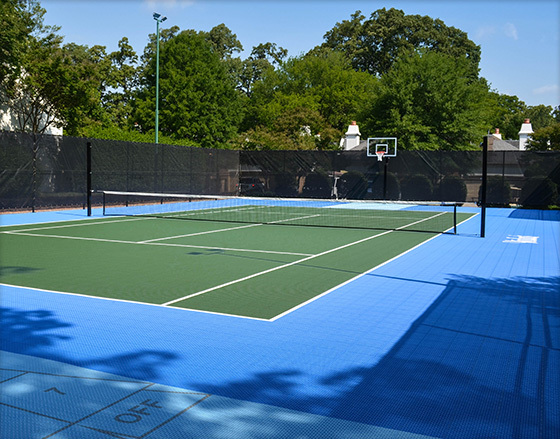 While basketball courts remain one of the most popular amenities, many of these are outfitted with line for other games and sports to accommodate a wide range of activities. 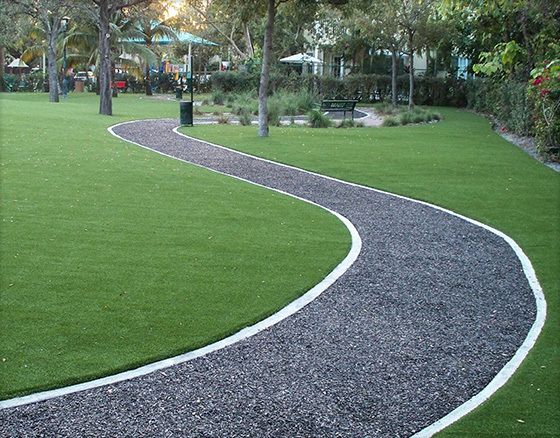 Walking and jogging paths are a key element of many parks and we work closely with our partners at Play It Surfacing to design bonded rubber surfaces that are highly durable yet very easy on people's knees and joints. Using bonded rubber mulch, we can achieve a very natural look with a surface that requires very little maintenance and remains clean in all weather conditions.